Defying the Nazis: The Sharps’ War is a powerful new film by Ken Burns and Artemis Joukowsky. The film tells of the courageous mission of an American couple in 1939, to assist refugees in escaping Nazi-occupied Europe. During their two-year mission, Waitstill and Martha Sharp risked their lives so hundreds of Jews would find freedom. It will be shown on PBS on September 20, 9:00 p.m. Eastern Time. Screenings in New York City are also planned; many other resources and links can be found on this website. Update, Sunday, September 18: Nicholas Kristof wrote wrote a masterful column, explaining both the background of the Sharps’ true story and why it is relevant today, especially regarding the Syrian refugees – Would You Hide a Jew from the Nazis? This month, we lost another champion of Holocaust studies. Dr. Paul B. Winkler was in charge of the New Jersey Commission on Holocaust Education, a position he used to make this critically important subject available to all New Jersey students, teachers, and adults who wanted to learn more. He was a strong supporter of the Korczak Society of the USA and presented at many conferences and workshops dedicated to the life and work of Janusz Korczak. For more information of this wise and gentle scholar, please visit the page in Dr. Winkler’s honor, at the website for the New Jersey Commission on Holocaust Education. Baruch dayan ha-emet. The Nobel Committee called Elie Wiesel a “messenger to mankind.” He is one of the people I most admire – and for good reason. On July 2, 2016, Elie Wiesel passed away. His words of wisdom and compassion, told with utmost elegance, will live on in his many writings and speeches. Huffington Post (how I first heard the very sad news). Baruch dayan ha’emet! Thank you, Elie, for being such an important part of my life! Occupied Warsaw, 1940-1942. The Ghetto. At ten years of age, only the first chapters of Aron’s life had been written. His life was a work in progress. Yet, at his tender age, Aron had literally experienced a lifetime. The book of Aron was still being written. Even so, like the Book of Jeremiah, the book of Aron was filled with foreboding, for the present as well as the future. Would there be redemption? Could there be redemption? One could even draw a comparison with another prophet – Job. Like him, Aron found himself questioning, asking whether there could be justice, as he confronted one tragic obstacle after another. He was only 10. Yet, Aron had to help care for his family. When his ailing mother succumbed to typhus, Aron was forced to live by his wits. Anyone who has read about life in the Warsaw Ghetto (or seen photos) will recognize the truth of the tremendous bravery and ingenuity of children like Aron in facing extreme danger to smuggle the most basic of goods from the world beyond, the world beyond the barbed wire-topped walls of the Ghetto. When Aron was near death, our hero was saved by another hero, Dr. Janusz Korczak. Janusz Korczak was a real person, the pseudonym of Henryk Goldszmit, born in 1879 in Warsaw. Korczak studied in his native Poland and abroad to become a pediatrician. However, Korczak would gain fame by founding an orphanage for Jewish children in Warsaw and developing an educational system very far ahead of his time, when discipline consisted of corporal punishment. It is no coincidence that Korczak’s most enduring nonfiction works bear these titles: How to Love a Child and The Child’s Right to Respect. Korczak did not just write these beautiful words, he lived by them. 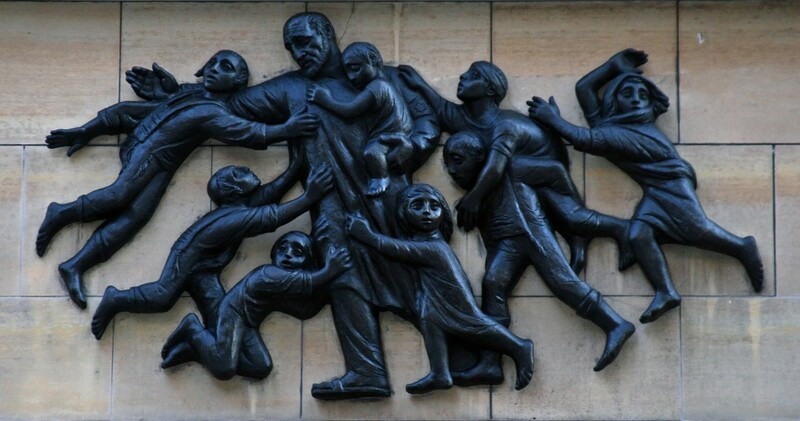 His orphanage was a model of respect for the dignity of the child, a place where young souls were nurtured, where everyone – Korczak included – had a role in the community, washing the floors and, at the same time, participated in his innovative Children’s Court. It was a place where penalties for breaking the rules involved restitution to the community rather than punishment, expectations of self-improvement and learning from one’s mistakes rather than threats. After Nazi Germany invaded Poland in 1939 and created the Warsaw Ghetto the following year, Korczak was forced to abandon his beautiful building on Krochmalna Street and find new quarters. Though the patchwork of ruined buildings on Sienna Street bore no physical resemblance to the original edifice, Korczak, his assistant Madame Stefa, and the dedicated staff worked tirelessly to maintain some sense of normalcy for the children. So, in a sense, one hero rescued another, though in this story, the definition of heroism in the context of the purgatory of the Ghetto are in flux, in conflict to the very end. And what lives on in both Aron and Korczak is the latter’s most enduring legacy, the Declaration of the Rights of the Child. This was probably the easily overlooked redemption of the Prophets. Gripping, first-hand accounts of the Warsaw Ghetto have come down to us, themselves miracles. How does one write a fiction work of this terrible place and period? 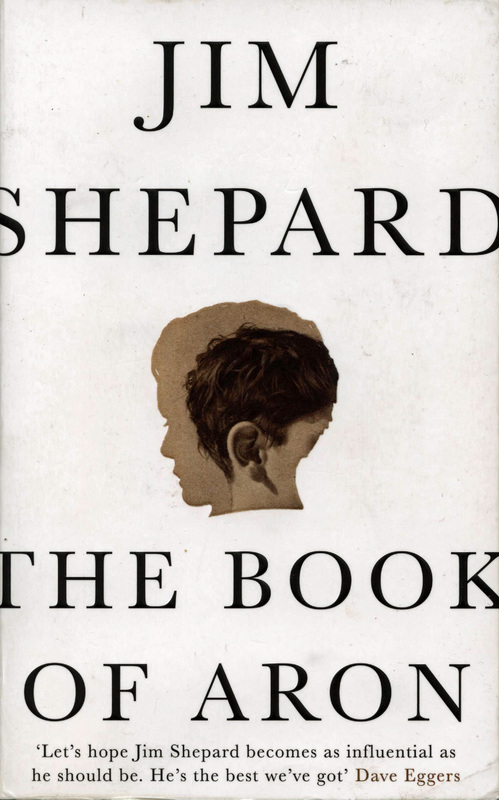 Jim Shepard, through the genius of his writing, has succeeded admirably. Shepard’s bibliography of original sources – diaries, memoirs, and Emmanuel Ringelblum’s historical archive, Shabbat Oneg (for which he ultimately paid for with his life) – and the best historic accounts is indeed impressive, enabling him to – in his ords “approach inner reality … through careful examination of what the documents themselves afford.” Details abound: a sadistic SS guiard known as Frankenstein, the patched holes in the Ghetto, Korczak’s love of sparrows and geraniums, a theatrical production of Tagore’s The Post Office…. Indeed, those fine details all come together to cfreate the masterpiece that is The Book of Aron. Reviewer’s note: The copy I read was the British paperback edition, which appeared earlier than its US counterpart. I am grateful to have been able to secure this edition. However, this otherwise appealing paperback suffers from an editorial flaw: the description on the back cover, aside from being somewhat obtuse, incorrectly states that the Warsaw Ghetto was established in 1939. Warsaw was invaded in September 1939; the Ghetto was established a year later. Aron’s age would have been 10 or 11, not 9, as stated.